Whether you play the piano, or you would just like to have a little better lighting to work with when doing work at home, this would be a great piano lamp to consider. You will find that this lamp is compact in size, yet it will still give you more than enough lighting for you to be able to get the job done right. 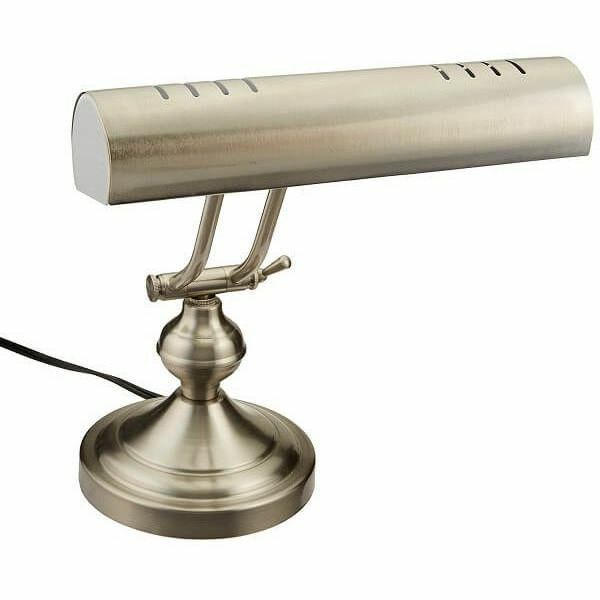 The bronze finish on the lamp gives it a very elegant appearance, so you can say goodbye to those cheap piano and desktop lamps, which oftentimes, ironically, cost as much if not more than this one. 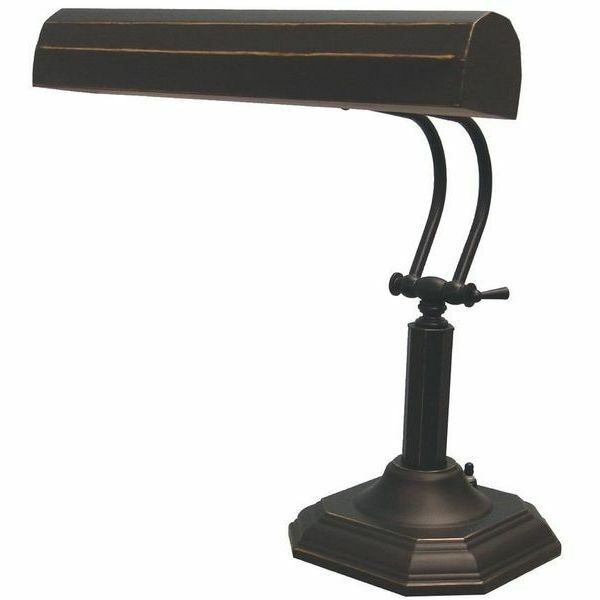 If you need a lamp to help you read those notes a little better or when balancing your checkbook, but you do not want some ordinary looking lamp from a department store, this one is perfect. You will love the satin nickel finish on this lamp as it gives it an appearance that will make you want to get your practice session in to at least be able to look at the lamp’s beautiful appearance. The lamp takes 40-watt t-bulbs, which are good at providing evenly-distributed lighting to the entire area you are working with. Are you looking for a piano light that brightens up your work space, but you do not want to have to replace the bulbs every few months at least. If so, this light would be perfect because it takes advantage of modern LED-type lighting, which allows the bulbs to typically last for several years. Additionally, this type of lighting is far more technologically advanced than ordinary light bulbs, so you will actually be able to choose from two levels of brightness, but you will not need two different wattages of bulbs to accomplish the task. The flat black finish also gives it a modern appearance. If you are buying a piano light for the light and not its shade, this would be a perfect option. The lamp is encased in a very narrow tube, which is connected to a thin, yet sturdy, base. This lamp also takes advantage of the features that LED lights have to offer. In case you were wondering, LED lights can actually last up to 50,000 hours, so that is nearly 5 ¾ years of never turning the lamp off. The stand that supports this lamp is also adjustable, so you will never have to deal with those awkward, in-between lighting angles ever again. Black – This great light clips onto any music stand or just about anything else! 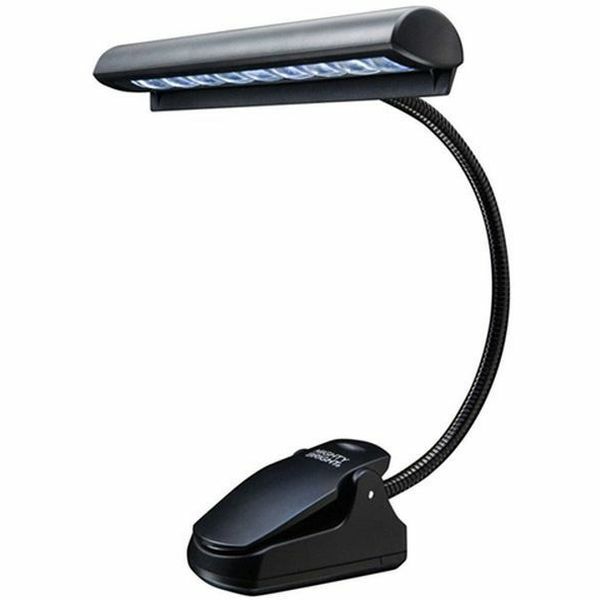 Mighty Bright is the proven leader of music stand illumination! Are you looking for a piano lamp that can attach to practically anything, and one that you can transport with you practically anywhere? 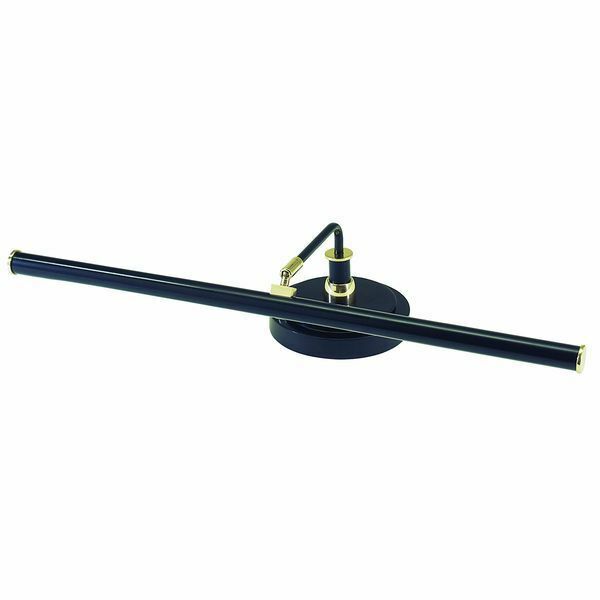 If so, you are going to love this piano light, which is the perfect size to attach to your music stand while still providing more than enough light to read your notes. 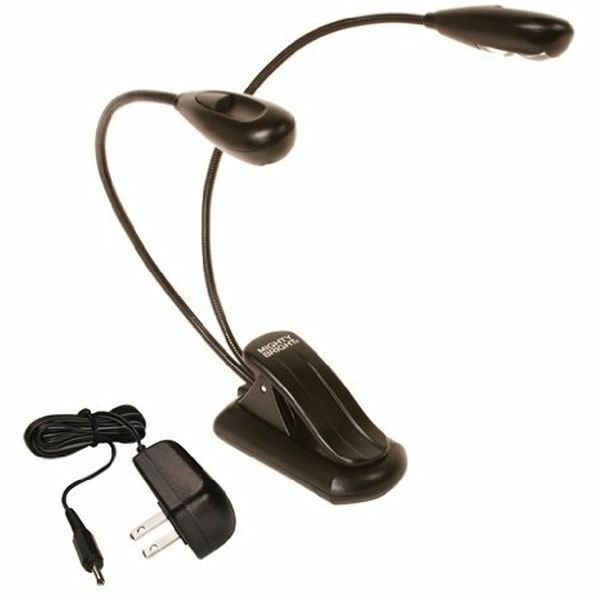 This lamp includes two head, both of which have two LED bulbs, and the stand is flexible, so you can find the angle that is best for your individual needs. Finally, you can power the light with the power cord, or you can use three triple-a batteries. Now, here is the piano lamp that you have always been looking for if you want a lamp that you can use to hone your playing skills, and one that will look great sitting on a coffee table in your living room when not by the piano. 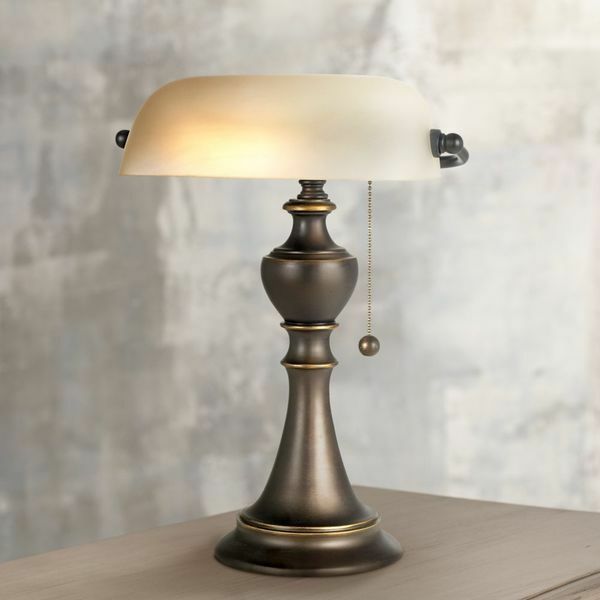 The lamp features an antique bronze finish, which will do a great job of complimenting the other furnishings and décor throughout your home. The lamp’s base is six inches, but it looks much bigger than this due to its stunning appearance. When you are ready to turn it on, all you will need is a 60-watt bulb.